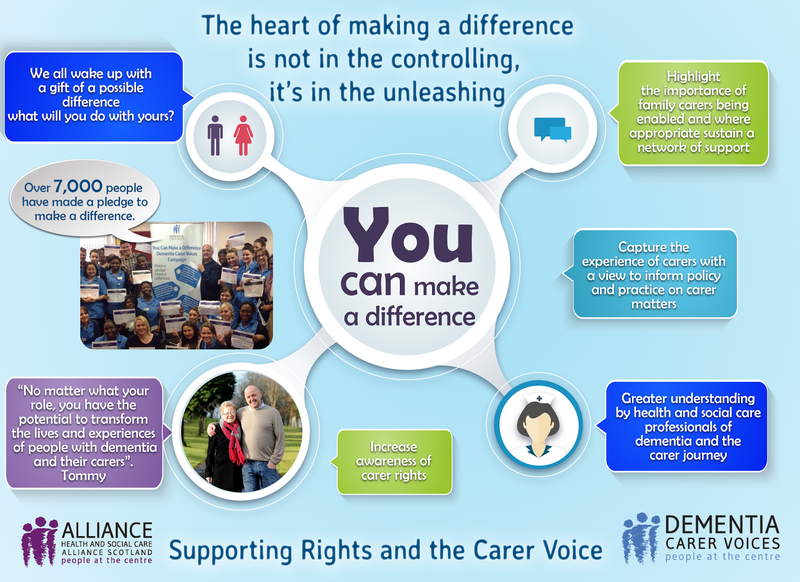 The Health and Social Care ALLIANCE’s Dementia Carer Voices project on going campaign for calling upon Health and Social Care professionals to consider how they can make a difference for people living with dementia and their carers. 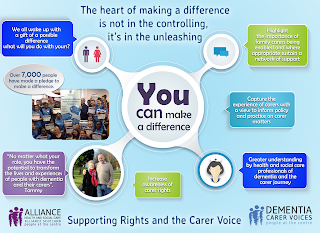 The team is taking the ‘You Can Make A Difference’ campaign to staff across the country to highlight that no matter what their role, everyone working in Health and Social Care Services has the potential to transform the lives and experiences of people with dementia and their carers, often in seemingly small ways. Staff will be given the opportunity to reflect on carer’s personal stories and make a pledge based on one key message or action that they will take away and apply to their everyday practice to make a difference.